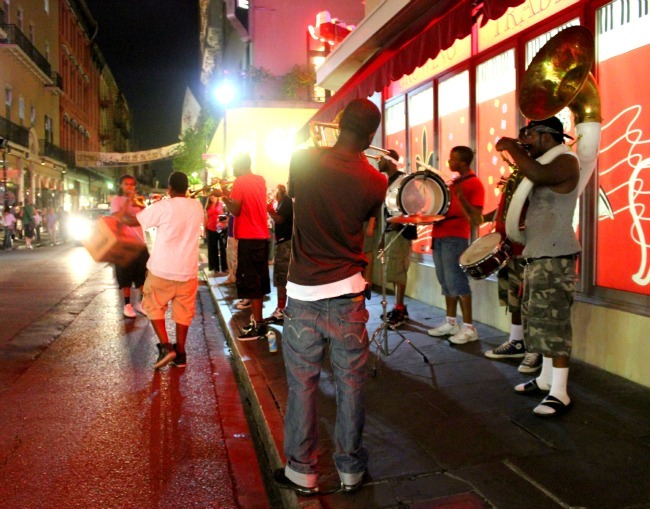 For those visiting New Orleans, its a requirement to hear some great music. But it doesn’t have to be in a club or a fancy lounge. On the streets of the French Quarter, young teen boys are often seen hanging out. Not because they have nothing to do or are trying to sneak into a club, but to play music. They bring their brass instruments, drums and courage, playing the jazz classics for anyone who will stop and listen to them. Especially seen in the French Quarter, due to the high pedestrian traffic who might want to share a dollar or two with these budding musicians, the street bands are easy to find. Its something I’ve really only seen here – teens taking to the streets, playing music that their parents, grandparents and even great-grandparents would know. For the locals, it can be irritating or annoying, especially if they set up shop in front of your business establishment as they play and ask for money. But for the city, its a habit that visitors like. Why? Because it shows that the city’s love for music isn’t a dying art or something that will fade away – its being passed on – generation to generation, who want to share and listen the unique style of American jazz. And you know there will be a story of a successful musician whose start was on the street, trying to draw the attention of tourists and locals.